The Camaro 2SS Coupe is the car that movie stars drove in the late 1960s, the period when I was born and when Chevrolet brought the world the iconic Camaro. It’s the car that made John Cusack cool in the 1980s classic Better off Dead, and the car that Ron Howard and his girlfriend stole for a wild ride in Eat My Dust. 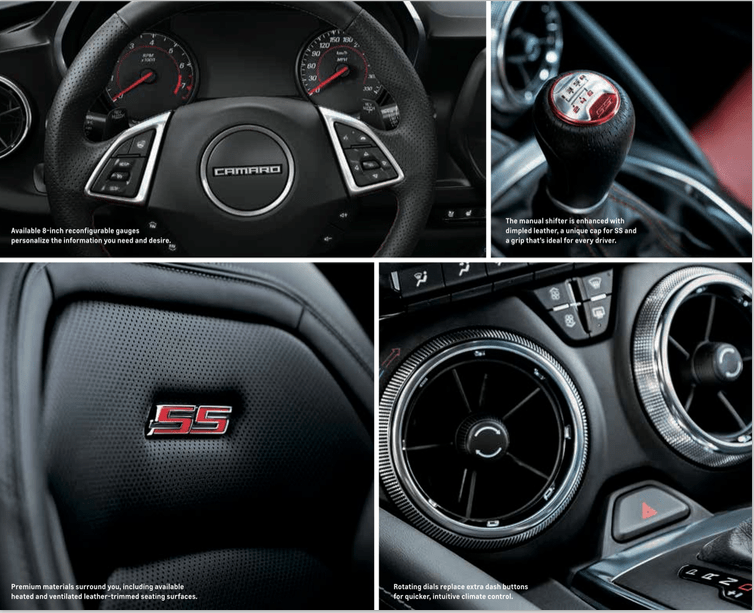 It’s no surprise that stepping into a Camaro has major significance for people who have grown up dreaming and fantasizing about it. Therefore, I had a big responsibility. I am not talking about careful driving, which goes without saying and is almost guaranteed considering the traffic on Beirut’s streets – they are certainly no Route 66 or a runaway highway to Mexico (for some reason all the cool Camaro-driving villains had Mexico as their escape route) – but also the responsibility of living up to the coolness and swagger of the American movie stars who drove the Camaro. The car definitely has an inspiring aura, it is a beast that commands respect. With a 6.2 liter V8 and 455 horsepower, the Camaro 2SS Coupe is literally the muscle car of your dreams. Although fifty years have passed since the Camaro made its first appearance, it has preserved its aggressive yet elegant lines. By aggressive, I mean that just by glancing at it you sense the beast within, yet its lines are still elegant enough that your girlfriend would be comfortable sitting beside you in her Herve Leger dress and Jimmy Choo shoes while you cruise down the streets of Monaco. When you are behind the wheel – and especially when you are not the car’s owner but have it on loan for the purpose of the review – you don’t allow yourself to treat the Camaro roughly (not that my driving can ever harm the powerful engine and transition) but, while cruising around the city, you definitely see heads turn. This is not because the car is yellow nor is it because of its beautiful lines or the roar of its powerful engine, it is because they are expecting you to do something heroic. For the younger generation, they are expecting it to transform into a golden robot a la Transformers and for the slightly older crowd, they are expecting Clint Eastwood’s 44 Magnum revolver to pop out the window. To be honest, you are tempted to do so; this is something you only understand when you gently tap the pedal and realize that the 1960s are alive and kicking. The car has excellent handling, but when driving it on the double S mode the car devours the asphalt. 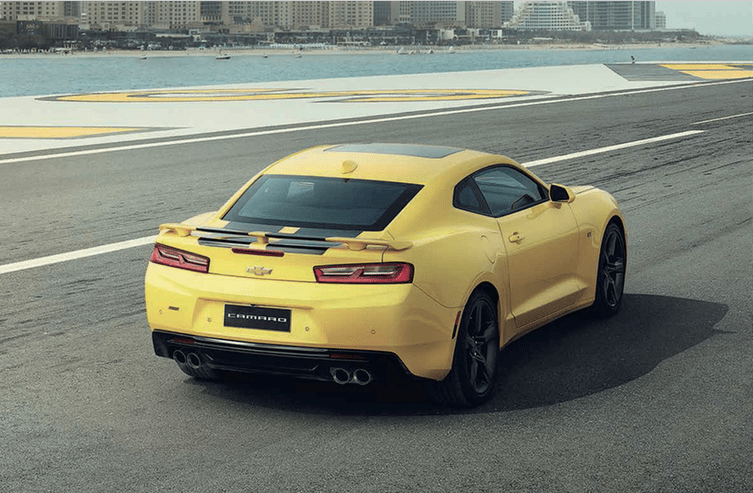 While I was hoping none of my son’s friends (who are in their early 20s now) would see me driving around in a yellow Camaro, I ended up bumping into them and our relationship will never be the same: we have one more thing in common now – the admiration of the Camaro. Now that this bond with the Camaro has travelled through time from the late 1960s to 2016, I would gladly ride off into the Mexican sunset with a bag full of cash (or just into my garage).